Called little white ants, termites are destructive to wood dwellings because they dine on wood. Termites live in colonies and are socially organized, similar to ants. However, termites and ants are mortal enemies, often battling until the death. Termites are great sources of protein, and a wide range of animals feast on these bugs, from reptiles to birds as well as mammals including aardvarks. Aardvarks are termite-eating powerhouses. Also known as anteaters the aardvarks have long and tube-shaped snouts with a small mouth, according to the Encyclopedia Britannica. An aardvark's long, skinny tongue is coated with a sticky substance that is optimal for catching termites while it protects them from termite stings. Aardvarks' toe nails resemble thick shovels and are great for digging in termite sand tunnels, underground nests and mounds. However, aardvarks prefer to eat harvester termites that are foraging for grass away from their nest, according to WildWatch.com. Aardvarks are nocturnal animals so they hunt for termites during the night time. Whether digging for prey or catching them above ground, a single aardvark can consume tens of thousands of termites in a single night. Ants are the greatest threat to termites, marching into their nests and burrows and attacking them in their homes, according to WildWatch.com. Colonies of ants go on frequent raids of the termite colonies who protect themselves with a chemical weapons arsenal. Termites use irritants and toxins to defend themselves from the ants' attacks. Soldier termites who guard the colony have strong jaws and armored heads to use for protection and defense. According to Internet4Classroom, the black carpenter ant will eat termites that are living in wood structures, such as homes and out buildings, and then take over the nest or burrow built by the termite colony. 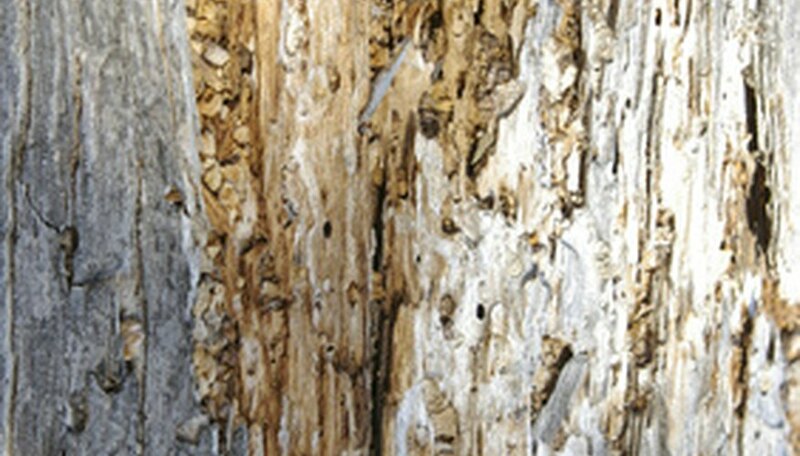 Birds love to dine on termites as the protein-rich insects are a valuable source of nutrition, according to WildWatch.com. These feathered animals are terrific at controlling a termite infestation by consuming copious amounts in a single day. According to Attracting-WildBirds.com, wild bird species that prefer to eat termites include American robins, Western blue birds, woodpeckers, Northern flickers and black frankolins. After eating all the termites from a mound or nest, some species of birds move into the uninhabited structures as a safety measure for carrying for their young. They dig out the narrow entry and build their nest inside.